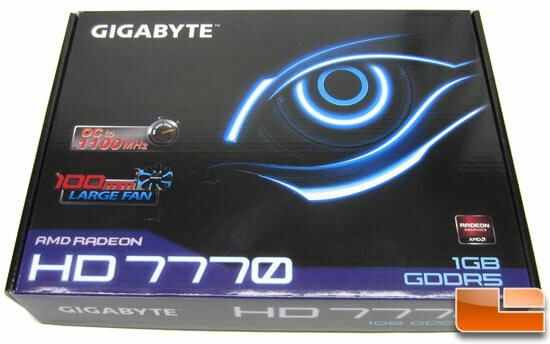 The retail packaging for Gigabyte Radeon HD 7770 OC video card was more basic than we expected. 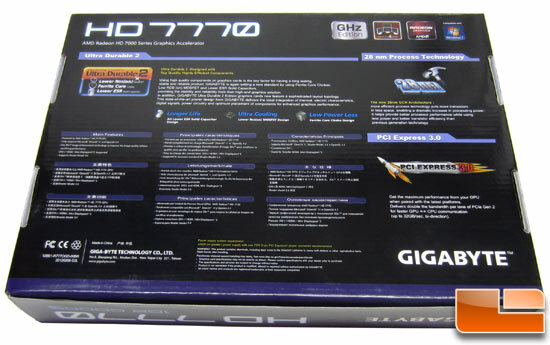 The box art is rather subdued compared to what other companies are doing and the front of the box clearly shows the model number, memory amount and the special features. The special features of this card is the fact that is has a GPU cooler that has a large 100mm fan on it and that it is factory overclocked up to 1100MHz (1.1GHz) rather than the default speed of 1000MHz (1GHz). On the back of the retail box you’ll find some in-depth details of some of the cards other features, but nothing too earth shattering. 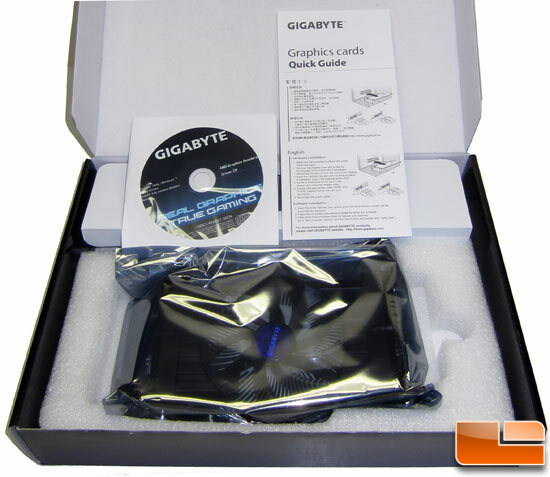 Gigabyte has really kept their packaging simple this time around. Inside the retail box we again see that Gigabtyte kept things very simple as the only things included are the driver disc and the quick start guide. Retailers like Newegg are also including a free Dirt3 game coupon with the purchase of Gigabyte Radeon HD 7770 OC, so you might luck out and get something.